← A visit from my Durham favorites. Posted on April 1, 2011 | Comments Off on Ode to Chapstick. I really love chapstick. I have for a long time. My love for chapstick has been longlasting and evident in my life. In high school, this was my chapstick of choice. I think I had someone “will” it to me in those senior will things. This and green extra gum were about my favorite things. I am over my love for gum. I found that Burt’s was hard to open. So I moved on. But not that long ago. I had a long love affair with Burt’s. Now I have a few favorites. Sephora carries Rosebud Salve and keeps it close to the register where you just have to buy some when you walk by. I keep this in my purse and at my desk. It is a little glossy. Plus, the vintage look is sort of cool. Warning: the summer heat or pockets don’t do well with this chapstick. Kheil’s–the pot, not the tube. The tube oozes when it is hot. Nordstrom carries the pot. I keep this by the bed and a million other places. 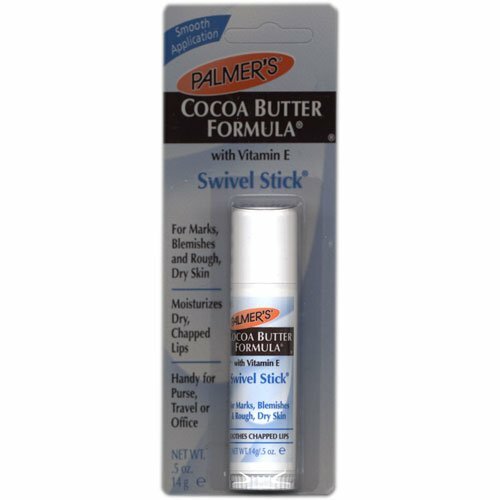 This one–Palmer’s–is the size of a glue stick. Scott keeps this in his pocket and often gets asked if he is gluing his lips shut. I keep it in my car. It is the most efficient way to cover your lips fast. I don’t know why that is important, but one can’t argue against efficiency! There are few times that I can be found without one of these within reach. One cannot underestimate the value of well moisturized lips. In other news: We close on Monday on the house! AND I have a friend getting married today–and it isn’t even an April Fool’s joke. I can’t wait to celebrate with her but I have to wait until they have a party in a few months. She is one of my most favorite people and I so respect her decision to have a wedding with she, her main squeeze, the minister and a photographer. That. is. it. But I do wish I was able to be a fly near by.